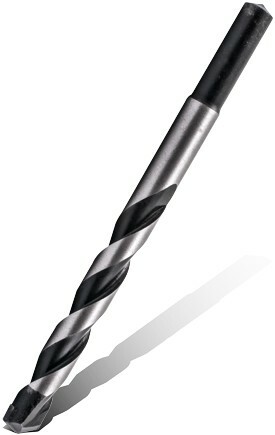 The drill bit is used to drill holes in masonry or concrete, thanks to the uniquely designed TCT (tungsten carbide tipped) point. A percussion (hammer action) drill with a 3 jaw chuck is required. Preset the depth gauge on the drill to achieve the correct depth before drilling into walls. TIP:Have a wall scanner (detector) ready before drilling into walls. CAUTION:Do not use the drill bit with a rotary hammer. The impact energy will break the conversion chuck.